Great challenges reveal our true nature—both as individuals and organizations. During these times of adversity we can crumble and yield or we can persevere. In the weeks since we published the YogaGlo story, the yoga community has mobilized in support. Nearly 14,000 petition signatures later, along with articles, boycotts, and blog posts—the starting of a movement—there is no doubting the yoga community’s unwavering resolve to overcome this challenge and stand up to protect itself. When we received the initial legal notice from YogaGlo, we recognized this as a landmark issue with potential impacts reaching far beyond the patenting of a style of filming a yoga class. Approval of this patent could dramatically alter the future of yoga—a future that will increasingly include video and online study. It is reasonable to assume that there could be a push by other online yoga organizations to claim and patent their “proprietary” setup. As a pioneer of yoga here in the West, we feel an obligation to protect and preserve the sanctity of the teachings we value so greatly. We felt we had to publish our story—that dealing with it in secret would be a disservice to the larger yoga community. Within minutes, we were flooded with comments and advice from concerned teachers and students around the globe. An army of advocates began educating themselves, researching legal cases, and sending us advice. Amongst the multitude of messages was an email from a yogi with a background in patent law. He discovered some specific problems with the timing of the YogaGlo patent and urged us to look into it further. Thus began our crash course on patent law. As you’ll see in the following links, YogaGlo’s patent was filed well after this one-year window. We believe there are many other reasons this patent should not be approved by the patent office, including prior usage of this style and the lack of novelty of the setup. We are confident that once the patent office is aware of the following links, the patent will be invalidated. *Note: Internet archive stores historical images from websites through time and shows you what a website looked like on a specific date. *“Invention” must NOT have been placed into the market one year before this date. Ultimately it is the challenges we face that define and shape us. Overcoming these obstacles as a community will only empower us and expand our capacity. Emboldened by your spirit and encouragement, we will continue our work to legally prevent this patent from gaining approval, and we will continue to keep you informed on the issue. 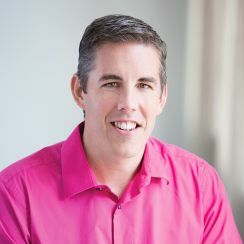 Todd is the CEO of Yoga International, a global streaming media organization that is currently ranked on Inc. magazine’s fastest growing companies list.